‘WE didn’t obtain the result we wanted but sooner or later we will get the result we want,” says Norman Will, leaning back on a comfy armchair in the Yes shop in the centre of Inverness. Saltires, Basque and Catalan flags compete for space on the wall behind him. The atmosphere in here is upbeat to the point of giddiness. The first day I try to visit it is so busy I decide to come back. The following lunchtime is a little quieter, but the flow of people is still steady. Some pick up SNP posters and election material. Others just come for a chat. Alongside the Yes badges and keyrings, there are dog neckerchiefs, SNP high-vis jackets and tote bags made out of old copies of The National. A lending library stocks books by Jim Sillars, Tom Devine and Lesley Riddoch. It feels rather churlish but I have to ask: Why is there a Yes shop in Inverness? The referendum was lost more than seven months ago. “This came from the community spirit that developed between independence supporters during the referendum. We decided to keep going,” says Will, 58, who also manages the office of local SNP MSP Fergus Ewing. The Yes shop, which reopened in October after a brief hiatus, is supposed to be an ecumenical space. There are posters on the wall for the Green party, who are running in the constituency, but there is little doubt about where the General Election allegiances lie. “The reality is [the SNP] are the only ones who can beat the Unionists,” says Will. A larger-than-life placard of local council leader and SNP candidate Drew Hendry leans against a nearby wall. Hendry, well-built with a regulation army haircut, pops in briefly before heading back out on the campaign trail. A woman at McDonald’s wants to have her picture taken with him. For decades the Highlands has been a bastion of liberalism. From Aviemore to the tip of Shetland is all shaded Liberal Democrat yellow on the UK electoral map. The vast Inverness, Nairn, Badenoch and Strathspey constituency – which borders former LibDem leader Charles Kennedy’s Skye and Lochaber seat to the west – has rarely been fertile ground for the Nationalists. Danny Alexander won the seat for the LibDems with more than 40 per cent of the vote in 2010; the SNP finished a distant third on less than half that. But this time around the polls – and the rows of posters attached to lampposts on Inverness’ blustery main street – suggest it is a straight fight between Hendry and Alexander. It is a battle between a party in the ascendancy and one trying to cling on in its one-time strongholds. Frequently caricatured as the Conservatives’ lackey during his time in the Treasury, in the flesh Alexander is disarmingly articulate. The exchanges with Inverness voters are at times testy. One man, visibly worked up, says he will never vote liberal again. But Alexander never looks flustered. He just keeps smiling, cleaving tightly to his core message: without the LibDems in coalition, the country would be in a far worse state. Alexander admits that the volte-face on tuition fees “does come up” – in 2010, the LibDems, having pledged to abolish university fees, promptly raised them to £9,000 a year – but says local voters are more concerned about the centralisation of power in Edinburgh. “People see that the SNP is a party that has taken power away from the Highlands,” he says, identifying the creation of a unified Police Scotland as a particular cause of alarm. Personalities have often played a bigger role in Highland politics than elsewhere in Scotland. Alexander remains well liked by many constituents. That, however, does not mean they will all be voting for him. “I don’t believe in them anymore. I used to but not now,” says Avril, a former LibDem voter in Inverness. “There are other parties that I think can do a better job.” In Inverness, the SNP is well placed to profit from the decline in LibDem support nationally and the energy generated by the referendum. The Highlands rejected independence but the result was closer than the national average and sample polling suggests the city of Inverness voted Yes. “The SNP are doing things for Scotland, not just Westminster,” says Iona McMurtrie, 20, after a mid-week meeting with Hendry at the Iron Works, an impressive live venue in the centre of Inverness. Her friend, Roslyn Keane, 48, a support practitioner, voted for the very first time in the referendum. She will be voting SNP next month, she says. “People are seeing we are offering an opportunity for a different way of doing things,” says Hendry. Inverness is in need of regeneration. 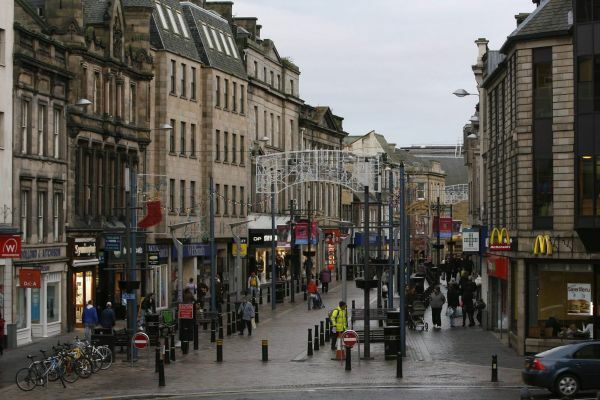 In the city centre, To Let signs are as common as adverts for Highland tours and Loch Ness cruises, and about 30 per cent of the population live below the poverty line. Retaining young people is a problem. Technology, oil and gas and renewable energy offer “a great opportunity” for the Highlands that is not being realised, says Hendry. There is a marked urban/rural divide in the seat, too. Hendry’s own Aird and Loch Ness ward is the size of Luxembourg. More than half the electorate is in Inverness city, with the remainder dispersed across the constituency. That demographic breakdown has meant that, despite finishing second in the seat in 2010, Labour has often struggled to make inroads. Mike Robb, runner-up last time out, says Inverness “has the same difficulties as Glasgow or Edinburgh” but in the rural hinterland public transport, broadband and wind farms are pivotal issues. A Labour member for more than 30 years, Robb says the SNP are “picking up a strong vote on the back of the referendum” but that there is also a “silent majority” in favour of Unionist candidates. “The Yes supporters are very visible, but there are a lot of people out there who very quietly don’t agree. They don’t put up posters but they are there,” he says. Conservative candidate Edward Mountain believes that Inverness, and Scotland, need to “move on” from the referendum. “It was an unpleasant time. We don’t need to re-fight old battles,” he says. A soldier turned farmer, Mountain is a textbook case of nominative determinism; rugged, broad-shouldered and amiable as an episode of The Archers. Inverness has been at the heart of another election battle in Scotland – that between Conservatives and Liberal Democrats over tactical voting. Mountain supports his party leader Ruth Davidson’s calls to resist the urge for Unionists to vote for incumbents in liberal-held seats. “You are much better off voting for what you believe in,” he says, when we met in the local Conservative office in Inverness. On the wall are photographs of David Cameron and some of his predecessors, Margaret Thatcher, John Major and Alec Douglas-Home. The Conservatives finished a distant fourth here in 2010, but are hoping to build for the future in a region where they already have two list MSPs. In a a measure of how constitutional politics has come to the fore, even Scottish Christian Party leader Donald Boyd says that he “a local man who wants to retain the Union” – albeit with an added emphasis on “the Christian voice”. Boyd, a minister and doctor in the local hospital, finished ahead of the Greens and Ukip in 2010. His party’s policies are closer to the latter: keep Trident, reduce immigration, pay off the national debt. “We have a Christian attitude that begins with love your neighbour, but we also have an attitude of Christian prudence towards what the country can sustain,” says Boyd. In the Highlands, as across Scotland, politics is changing. The question now is what that change will look like on May 7.